This adorable quilt can be used with prints or solids or a combination! It is easy and fun to make for a beginner yet creative enough for an advanced quilter! 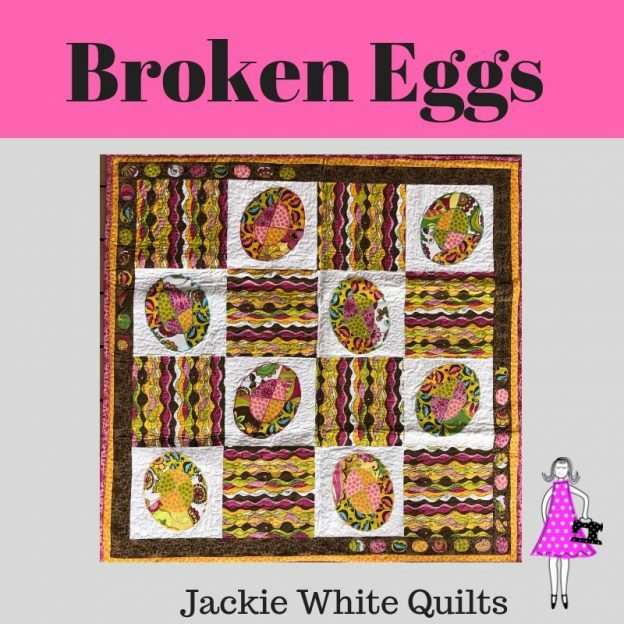 Mixing and matching the pieces of egg create a stunning quilt! Using a combination of piecing and fusible applique, you can’t go wrong creating this one of a kind quilt! Make it in solids, prints or a combination to really make it stand out from the rest!